The Trump administration is using unprecedented threats and financial “blackmail” against the United Nations and its agencies to end their focus on human rights abuses by Israel, according to analysts and Palestinian leaders. They accuse the United States of joining Israel in a campaign of intimidation against the UN secretariat and member states to forcibly rehabilitate Israel’s international standing. The offensive comes after the Israeli government of Benjamin Netanyahu faced several years of criticism in diplomatic circles for refusing to engage in a peace process with Palestinians. An early indication of the new campaign’s success, analysts note, was the election last week of Danny Danon as a vice-president of the UN’s main representative forum, the General Assembly. 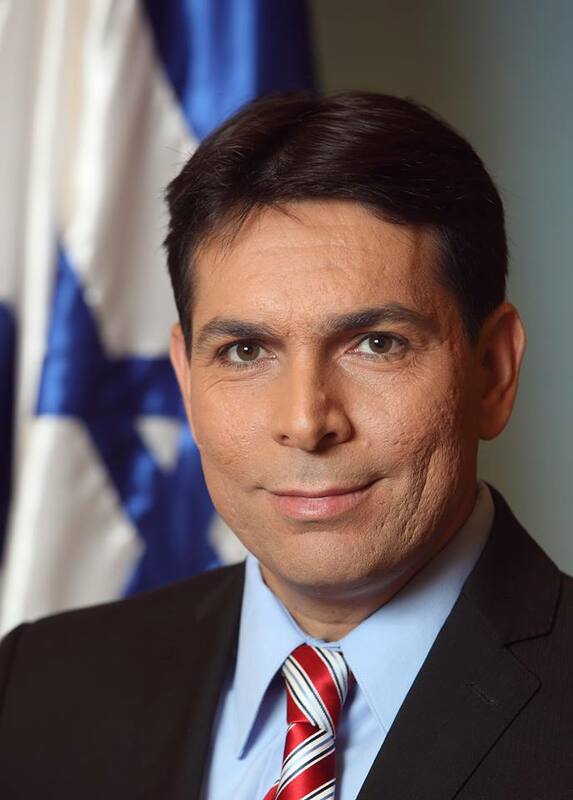 Danon has been Israel’s ambassador to the UN since 2015. He is known as an arch-opponent of the two-state solution and, before heading to the UN in New York, had repeatedly called for Israel to annex most of the West Bank. It is views like Danon’s, which are increasingly dominant inside the Israeli government, that have driven a swelling boycott movement, as well as increasing comparisons between Israel and apartheid South Africa. “The US and Israel are now jointly engaged in ‘street fighting’ at the UN,” a Western diplomat, who wished to remain anonymous, told Al Jazeera. 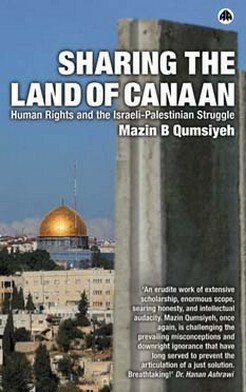 That view was confirmed by Hanan Ashrawi, a former Palestinian negotiator and member of the PLO Executive Committee. “The Trump administration has become a very vocal and aggressive attorney for Israel,” she told Al Jazeera. Danon will take up his new post in September, chairing sessions of the General Assembly, helping to set its agenda and overseeing enforcement of rules and decorum during its meetings. The increasingly overt alliance between Israel and the US at the UN was highlighted this week when Danon escorted Nikki Haley, Trump’s envoy to the UN, on a visit to Israel. In a speech to the US pro-Israeli lobby group AIPAC in March, Haley promised to be “a new sheriff in town” at the UN. On the way to Israel, Haley stopped in Geneva to berate one of the UN’s chief agencies, the Human Rights Council (UNHRC), for what she termed its “chronic anti-Israel bias”. Its behaviour “makes a mockery not of Israel, but of the Council itself,” she added. She threatened that the US would pull out of the UNHRC if it did not rein in its criticism. In April, Haley issued a similar warning when she took over the rotating presidency of the UN’s most powerful body, the Security Council. She told members that their monthly Middle East debates would now focus on Iran, Syria, Hamas and Hezbollah, not Israel. Israel and the White House have been leaning on other key UN agencies. In March, the Economic and Social Commission for Western Asia was forced to retract an expert report after it concluded that Israel had established an apartheid regime ruling over the Palestinians. And last month the US condemned a resolution by the UN’s cultural agency, UNESCO, after it called on Israel to uphold international law and end policies that were changing the religious and cultural character of occupied East Jerusalem. All this has been occurring against the drumbeat of threats from the Trump administration that it is ready to impose drastic cuts to the UN budget. Washington is the UN’s biggest contributor, covering nearly $13.5bn of the world body’s funding. “The main factor behind Danon’s promotion is blackmail by the Trump administration,” said Ashrawi. Nathan Thrall, author of a new book on Israeli-Palestinian diplomacy, The Only Language They Understand, said the campaign had forced the Palestinians to back off from diplomatic initiatives at the UN. Over the past seven years, Palestinian President Mahmoud Abbas placed an emphasis on the struggle to win recognition of Palestinian statehood at the UN. That included joining a UN agency, UNESCO, in 2011. The US responded by suspending its UNESCO’s funding. Peacekeeping operations and humanitarian assistance would be among the UN operations expected to suffer. 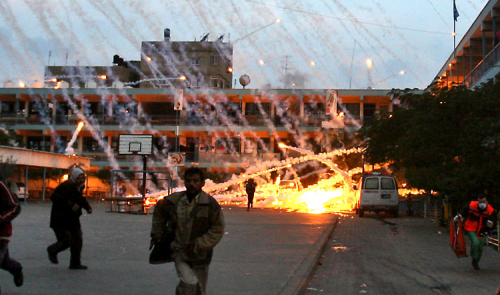 “The Palestinians don’t want to lose friends when they need them most,” added Thrall. Danon, aged 46, was selected for the role of General Assembly vice-president by a regional faction at the UN known as the Western European and Others Group. It includes most European countries, plus Israel, Australia, Canada and New Zealand. The election of vice-presidents is organised on a regional basis to ensure fair geographical representation. Israel has been the subject of dozens of resolutions condemning its violations of the UN charter – far more than any other member state. But in particular, the choice of Danon has disturbed Palestinian leaders. Until recently, his was widely seen as the enfant terrible of the Israeli right. Netanyahu sacked Danon from his post as deputy defence minister in summer 2014, during Israel’s attack on Gaza, in which some 500 Palestinian children were killed. He called Danon “irresponsible” for describing Israel’s military operation as too lenient. When Netanyahu announced Danon’s posting as ambassador a year later, Israeli analysts described the decision as a “cruel joke”. Ashrawi noted that Danon’s treatment at the UN contrasted strongly with that of Salam Fayyad, the former Palestinian prime minister. Even before Trump, there were signs that Israel’s fortunes at the UN were changing. Last year, Danon made history becoming the first Israeli ambassador to chair a permanent committee – dealing, paradoxically, with international law, the subject on which Israel has faced most criticism. Again, Danon received the backing of the Western European and Others Group. However, Danon’s relations with the previous US administration were strained. In late 2012 he accused President Barack Obama of being “no friend of Israel”. By contrast, Danon has been enthusiastically embraced by the Trump administration, observed Thrall. Interviewed by the settlers’ news agency Arutz Sheva last month, Danon said there was a “new spirit” at the UN. Although the world body has been viewed as traditionally hostile to Israel, experts have cited several factors that explain Israel’s changing fortunes. In recent years, Israel has made strategic alliances with powerful states at the UN, in addition to its main ally in Washington. Israel has won favour often through arms sales and intelligence sharing. Also, Europe, which is in growing disarray, has abandoned even the pretence of acting as a counterweight to Washington. That has made it easier to win over European countries to Israel’s side. And the UN, mired in financial difficulties, is reeling from the threat of further penalties from the US and its allies if it continues to be seen as anti-Israel. “Israel and the US are ready to break the international order to get their way,” said the diplomat. Well, it was nice while it lasted. 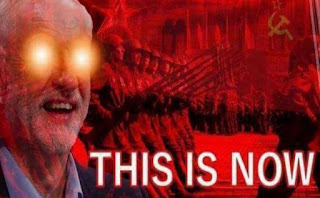 Like many others, I rejoiced through the night at the astounding UK election results, which seemed to presage a much needed, much longed-for paradigm shift in the poisonous bipartisan neoliberal consensus imprisoning the politics of the UK (and US) for so many years. 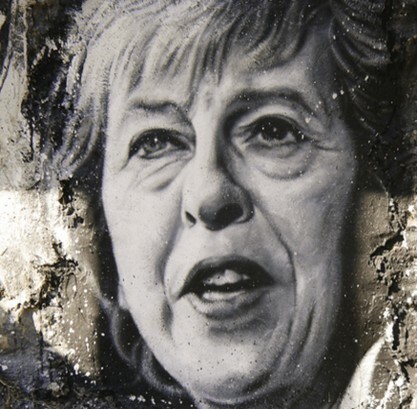 But morning finds us in what might be an even worse situation, as a wounded — and woefully incompetent — Theresa May limps to the palace to form a government utterly at the mercy of the right-wing sectarian cranks of Northern Ireland’s Democratic Unionist Party. 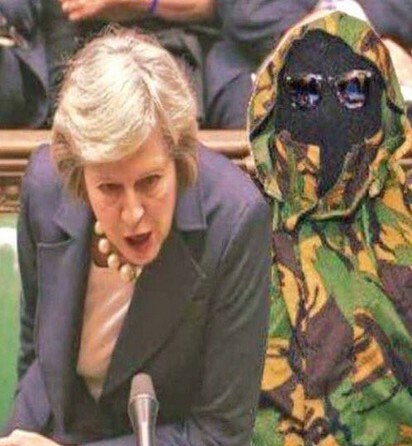 And since the government-forming deal won’t be a formal coalition, the DUP will be able to extract whatever concessions they please from May, who will obviously do anything to cling to power. They have already made clear to May that their price for keeping her in office will be a “hard Brexit” in Northern Ireland: no special concessions for the unique situation there — the only place where an EU nation will have a land border with Brexit Britain. This will almost certainly mean that armed border controls will have to be set up. And this in turn will almost certainly mean a renewal of strife and division in Northern Ireland after a generation of relative peace and easy flow back and forth between the UK-controlled counties and Ireland proper. The DUP fears that any special arrangement will pull Northern Ireland even closer to Ireland — which would, of course, threaten their own little power base. We can still hope that the Parliamentary Labour Party will now embrace the paradigm shift that millions of people made yesterday in voting for a bold Labour manifesto aimed at the greater common good, not the harsh, inhumane dogmas of the failed neoliberal consensus. If they do that, if they build on the momentum and enthusiasm generated by the remarkable campaign and its renewed focus on, yes, the many not the few, then they will be able to thwart or at least hinder the worst depredations of what will be an even more right-wing government. May will now be the weakest UK leader in decades, at risk of falling at any moment if the DUP withdraws its support. She and her hideous policies will be susceptible to pressure at every single step — if Labour hangs together, if the PLP will stop viewing the leadership, the party membership — and millions of Labour voters — as enemies to be undermined and overthrown. So despite the euphoria of the long night, we should remember that we are still in murky waters, with a rickety, right-wing Tory- DUP alliance in government. If Labour can maintain its campaign for the common good with unity and energy, then the election can still be what we all thought it was during the night: a new beginning. If not, if Labour falls into internal strife, if its inveterate, neoliberal die-hards continue to put their failed ideology ahead of the interests of the country and the world, then we will have seen a false dawn, with much darkness yet to come. 'We'll miss him like crazy,' Washington-born actor's family says on Twitter. Adam West, the actor who played the title role in the kitschy 1960s Batman television series, has died at age 88. Family members said on a verified Facebook page that West died Friday night after "a short but brave battle with leukemia." On West's Twitter page, the family wrote: "He was the greatest. We'll miss him like crazy." West, who was so closely identified with his tongue-in-cheek portrayal of the cartoon superhero that he had trouble landing other roles when the show ended, died on Friday evening after a struggle with leukemia, his representative told Variety. West played the superhero straight for kids and funny for adults. 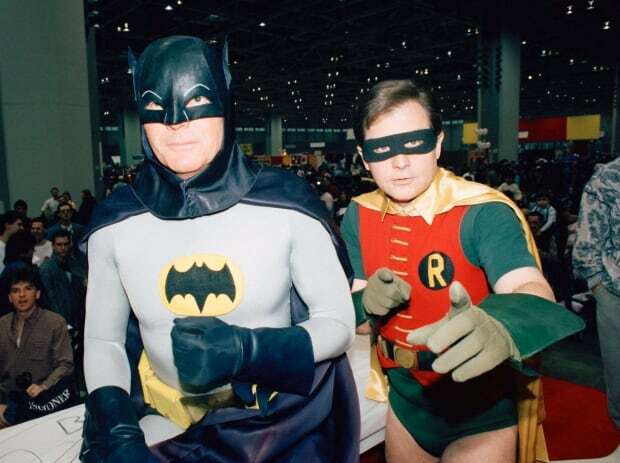 His sidekick, Robin, was played by Burt Ward. The actors voiced their characters in 1989 in an animated film, Batman: Return of the Caped Crusaders. He initially chaffed at being typecast after Batman went off the air after three seasons, but in later years, he admitted he was pleased to have had a role in kicking off a big-budget film franchise by showing the character's wide appeal. "You get terribly typecast playing a character like that," he said in a 2014 interview. "But in the overall, I'm delighted because my character became iconic and has opened a lot of doors in other ways, too." West returned to the role of Batman in an episode of the animated The Simpsons. More recently, he did the voice of nutty Mayor Adam West in the long-running Family Guy series. In April 2012, West received a star on the Hollywood Walk of Fame. Born William West Anderson in Walla Walla, Wash., he moved to Seattle at age 15 with his mother after his parents divorced. 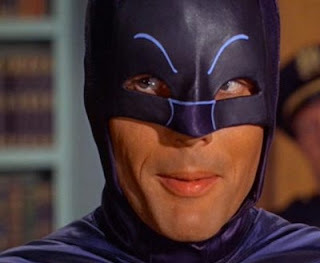 After serving in the army, he went to Hollywood and changed his name to Adam West, and began appearing on a number of television series, including Bonanza, Perry Mason and Bewitched. Married three times, he had six children. West had homes in Los Angeles and Palm Springs, Calif., but he and his wife, Marcelle, spent most of their time at their ranch near Sun Valley, Idaho. While West's character drove Batman, the show's various memorable villains — Cesar Romero as the Joker, Frank Gorshin as the Riddler, Burgess Meredith as the Penguin and Julie Newmar as Catwoman — were allowed to chew the scenery. Numerous Hollywood luminaries stepped in to play Batman's demented adversaries in the show's 120 episodes. "He was bright, witty and fun to work with," Newmar said on Saturday in a statement. "I will miss him in the physical world and savour him always in the world of imagination and creativity." It has been a very challenging week. Not in terms of life or our (volunteer) work. I and my wife continue to work seven days a week and accomplish a lot as full time volunteers at the Palestine Museum of Natural History and Palestine Institute of Biodiversity and Sustainability. Even submitting more research manuscripts than I expected (one or two a week in this period) and more grant applications (2-3 per month). Our garden is blooming and we harvest regularly things like strawberries, tomatoes, basil, mint and more. Visitors to the museum are regular and whether young or old, they go away motivated and energized to do something. So things are going well. No, what made it a challenging week are two things: expectation, and analysis. In analyzing the world situation (thinking globally while still acting locally) we observe how difficult a landscape humanity faces. Rich Arab leaders that are puppets of the western world continued wasting billions that rightfully belong to the people. Hundreds of billions of Arabian Hijaz money wasted by the rulers as a bribe to Trump and to attack other fellow Muslims (in Iran, Qatar, Palestine, Yemen). But lest you think I take sides against the Saud family, let me be clear. Edward Said once put it, we do not have to choose between fanatic dictators and fundamentalist religious fanatics. So I am neither with the Saudi or with the Qatari royal families or their agendas. Axis 1 now decided to go after axis 2. Axis 2 is considering moving for protection to axis 3. The US is solidly behind axis 1 but keeping leverage via axis 2 (US bases both in Turkey and Qatar). The US is trying hard to undermine axis 3. Israeli leaders brag about how their strategy of aggressive war, strong military and strong lobbies ensured this geopolitical structure working to their advantage. Lieberman and Netanyahu openly flaunt the friendly relations with “Sunni states” against Iran and Hamas and Hizballah. To echo this, axis 1 “leaders” (unelected dictators) list any resistance group fighting Israeli colonialism as terror group. In Palestine, the Fatah leadership follows axis 1, Hamas axis 2, and the PFLP axis 3. The Palestinian street is looking for alternatives and seeing little on the horizon. I do not want to overanalyze this situation. The question that always stays is “what are our individual roles”? The struggle is to stay optimistic, look for the positives and build on them towards a future of peace, justice, and sustainability. c) try to find and encourage the goodness in ALL humans. Briefly, we must indeed challenge corruption and greed that leads to war and conflict. My own trepidation is I see both large scale greed and corruptions (Trump, the kings of Saudi Arabia and the Emirates and General Sisi of Egypt) but I also see small scale beginning of greed and corruption in people here in Palestine even under occupation. How do we make sure that people we know do not continue down that path (addictive destructive)? Building something positive on the ground like a small permaculture farm can therapeutic and can cause a small ripple effect. But how can we enlarge his to have many such positive ripples that stir the sludge that is lurking underneath, give oxygen, allow life to grow and purify the water? Perhaps this is where the third element comes in: try to find and encourage the goodness in ALL humans. This is the most challenging task. It is easy to see points of light everywhere. Millions of people actually, the last evidence of this is how millions voted their hopes not their fears in England despite a concerted campaign by the elites to vilify leader of the Labor party as an “antisemite”. Hundreds of activists share their positive action every week with me (I have a large email list of tens of thousands of activists). What is more difficult is to see how we can light more candles and ensure that once an activist candle is lit, that t is protected, enhanced, and enlarged. That is a more challenging task. I will be engaging many hundreds of people in discussion around these issues in my upcoming trips (the US this month and England in October see http://qumsiyeh.org/upcomingevents/ ). Watching the BBC’s coverage of the election, you could be excused for taking away two main impressions of last night’s results. First, that Theresa May had a terrible, self-sabotaging campaign; and second that, while Jeremy Corbyn may be celebrating, he decisively lost the election. Those are the conclusions we would expect a pundit class to draw that has spent two years slandering Corbyn, calling him “unelectable”, warning that he appealed to little more than a niche group of radical leftists, and claiming that Labour was about to face the worst electoral defeat in living memory – if not ever. Corbyn’s social justice message was supposedly alienating the heartlands of the UK. So let’s stand back, look at the voting figures and see how a Corbyn-led Labour party actually did. Corbyn received 41 per cent of the vote, against May’s 44 per cent. 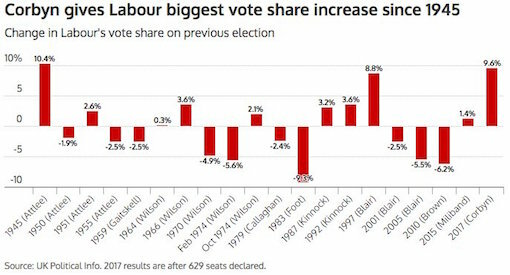 Given the UK’s inherently flawed, first-past-the-post electoral system, he won some 50 fewer seats than the Conservatives, but that was still a big improvement on Labour’s share of seats in the last election, under Ed Miliband. There is now a hung parliament, and to survive May will need to depend on the MPs of a small group of Northern Irish extremist Loyalists, creating a deeply unstable government. But how did Corbyn do in terms of the Labour vote compared to his recent predecessors? He won many more votes than Ed Miliband, Gordon Brown and Neil Kinnock, who were among those that, sometimes noisily, opposed his leadership of the party. They lost their elections. But what about Corbyn’s share of the vote compared to Tony Blair, his most high-profile critic, whose many allies in the parliamentary Labour party sought relentlessly to subvert Corbyn’s leadership over the past two years and tried to bring him down, including by staging a leadership challenge last year? Here are the figures for Blair’s three wins. He got a 36 per cent share of the vote in 2005 – much less than Corbyn. He received a 41 per cent of the vote – about the same as Corbyn – in 2001. And Blair’s landslide victory in 1997 was secured on 43 per cent of the vote, just two percentage points ahead of Corbyn last night. In short, Corbyn has proved himself the most popular Labour leader with the electorate in more than 40 years, apart from Blair’s landslide victory in 1997. But let’s recall the price Blair paid for that very small margin of improvement over Corbyn’s vote. Behind the scenes, he sold Labour’s soul to the City, the corporations and their lobbyists. That Faustian pact secured Blair the backing of most of the media, including Rupert Murdoch’s stable of papers and TV channel. The corporations mobilised their entire propaganda machine to get Blair into power. And yet he managed it with only 2 percentage points more than Corbyn, who had that same propaganda machine railing against him. Also, unlike Corbyn, Blair did not have to endure a large section of his own party trying to destroy him from within. That is the true mark of Corbyn’s achievement. Another point. Blair’s 1997 landslide was the peak of his success. As Labour members realised what he had done to achieve victory, support ebbed away relentlessly until he was forced to step down and hand over a profoundly damaged party to Gordon Brown. With Corbyn, the election campaign proved that there is a huge appetite for his honesty, his passion, his commitment to social justice – at least when audiences got a chance to hear from him directly, rather than having his policies and personality mediated and distorted by a biased and self-serving corporate media. Unlike Blair, who destroyed Labour to turn it into a Thatcher-lite party, Corbyn is rebuilding Labour into a social movement for progressive politics. A reader has made an excellent additional point. Blair was able to rely on a strong Scottish vote for Labour that no longer existed by the time Corbyn became leader. Most of that vote now goes to the Scottish National Party (SNP) over the issue of independence for Scotland. If one factors that in too, one can see quite how much more popular Corbyn is with voters than decades of his triangulating, neoliberal-friendly predecessors. Jonathan Cook, based in Nazareth, Israel is a winner of the Martha Gellhorn Special Prize for Journalism. His latest books are Israel and the Clash of Civilisations: Iraq, Iran and the Plan to Remake the Middle East (Pluto Press) and Disappearing Palestine: Israel's Experiments in Human Despair (Zed Books). 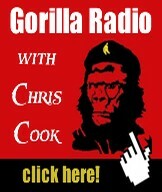 Read other articles by Jonathan, or visit Jonathan's website. Poster of radical FPI in Jakarta. 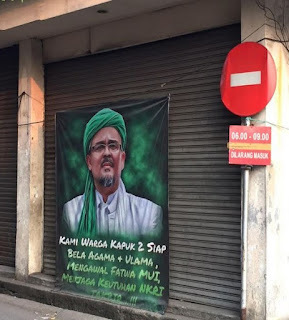 Before an encounter with an “Afghan” jihadi cadre, I travelled to the city of Bandung, where I met Iman Soleh, a professor at the Faculty of Social and Political Science (University of Padjadjaran – UNPAD). He is yet another renowned authority on ‘terrorism’. He came to my hotel, accompanied by his wife, Professor Antik Bintari, a conflict management expert who teaches at the same university. Komando Jihad later transformed into a transnational Southeast Asian group Jamaah Islamiyah (with its spiritual leader Abu Bakar Bashir). The group has been maintaining active links and cooperation with al-Qaeda and the Moro Islamic Liberation Front in the Philippines, to name just two religious guerillas. These are not well-publicized facts, but they should not surprise anyone familiar with Indonesian history: after the brutal 1965 U.S.-sponsored military/religious coup, Indonesia rapidly transformed itself from an anti-imperialist, internationalist and progressive country into the closest Western ally in the entire Southeast Asia. The main ‘ideology’ of the new fascist pro-Western regime of General Suharto became “anti-Communism”. For months and years, the Communists as well as alleged ‘Communists’ were slaughtered all over the archipelago, while Communist ideology was banned, as were the Chinese language and culture, including dragons and cakes. 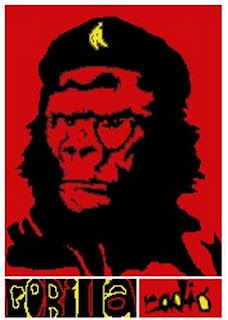 The anti-Communist propaganda became the mainstay of the ‘intellectual’ diet. The fourth most populous country on Earth went through a total reset, became one of the most ‘religious’ places on Earth, and soon after collapsed both socially and intellectually. Allegations of “atheism” against the Communists were used in Indonesia in order to stir and radicalize thousands of potential and already existing jihadi cadres. Anti-atheism, even anti-secularism, became the rallying cry of those who were ready to sacrifice their lives for the ultimate goal and dream – a caliphate. In reality, the West has always been using (and finally it has managed to divert) Islam. Some great Muslim scholars, including those that I met in Teheran, actually believe that Washington, London, Paris and other centers of the Western imperialism and neo-colonialism, actually succeeded, in many parts of the world, to create a totally new and (to many true and intellectual Muslims) unrecognizable religion. Mr Farihin, active member of the outlawed JI (Jamaah Islamiyah), fought in Afghanistan. That same night – very late at night – after driving for hours on hopelessly congested highway that connects the cities of Bandung and Jakarta, I met Mr. Farihin, an active member of the outlawed “JI” (Jamaah Islamiyah), a man who personally met Osama bin Laden, a warrior who fought in Paktia and other provinces in Afghanistan, a former Mujahedeen, an unapologetic jihadist. I quickly noticed that Mr. Farihin was not proud of the support his group and Mujahedeen in general were receiving from the United States and the rest of the West. He kept repeating that he did not “see” any direct U.S. support, that supplies just kept coming from Qatar, Saudi Arabia, Kuwait and other Muslim countries. For him, it was essential that his fight in Afghanistan would be seen as a ‘pure’, pan-Islamic struggle. He spoke about the fronts on which he had fought: Nangarhar, Jalalabad among others: “I was rotating between the fronts. The war, the battles were ‘orderly’”. Dina Y Sulaeman, Indonesian political analyst. “Jihad in which Indonesians want to participate is based on hate… In my book, I explain that the Indonesian fighters in Syria are mainly affiliated with several groups: ‘Ikhwanul Muslimin’, ‘Hizbut Tahrir’ and Al Qaeda/ISIS. Noor Huda Ismail with Andre Vltchek. Jihadi Express is now rolling, gaining speed. One country after another is being ripped to pieces under its merciless wheels. Defense Secretary James Mattis remarked recently that a war with North Korea would be “tragic on an unbelievable scale.” No kidding. “Tragic” doesn’t even begin to describe the horrors that would flow from such a conflict. The Korean peninsula, all 85,270 square miles of it, is about the size of Idaho. It contains more soldiers (2.8 million, not counting reserves) and armaments (nearly 6,000 tanks, 31,000 artillery pieces, and 1,134 combat aircraft) than any other place on the planet. The armies of North and South Korea face each other across the Demilitarized Zone, or DMZ, and Seoul, South Korea’s capital, is a mere 35 miles away as the artillery shell flies. More than 25 million people inhabit that city’s greater metropolitan area, home to about half of South Korea’s population. Unsurprisingly, untold numbers of North Korean missiles and artillery pieces are trained on that city. Once the guns started firing, thousands of its denizens would undoubtedly die within hours. Of course, North Koreans, too, would be caught in an almost instant maelstrom of death. And the war wouldn’t be a bilateral affair. 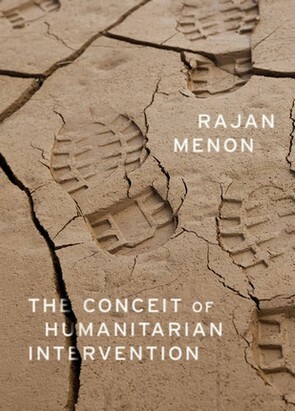 Tomgram: Rajan Menon, What Would War Mean in Korea? Here’s a reasonable question to ask in our unreasonable world: Does Donald Trump even know where North Korea is? The answer matters and if you wonder why I ask, just remember his comment upon landing in Israel after his visit to Saudi Arabia. “We just got back from the Middle East,” he said. In response, reported the Washington Post, “the Israeli ambassador to Washington, Ron Dermer, put his forehead in his palm.” Which brings us back to North Korea. As pollsters working for the New York Times recently discovered, were President Trump to have only the foggiest idea of that country’s location, he would be in remarkably good company. Of the 1,746 American adults the polling group Morning Consult queried, only 36% could accurately point to North Korea on a map of Asia. Other typical answers: Thailand, Nepal, Kazakhstan, and Mongolia. And here’s why this question matters: those Americans who located North Korea correctly on a map -- that is, those who had an accurate sense of where the ongoing crisis over the regime of Kim Jong-un was taking place -- were significantly more likely to favor “diplomatic and nonmilitary strategies” to deal with it. In the same spirit, they were less likely to favor “direct military engagement -- in particular, sending [in] ground troops.” Of course, the U.S. already has plenty of ground troops on the Korean peninsula. Twenty-eight thousand five hundred of them and at least 200,000 American civilians are in South Korea today and would quickly be swept up in any war there. If that conflict were to turn nuclear and the Demilitarized Zone between the two countries became “ground zero for the end of the world,” they would potentially be incinerated. How eerily strange, then, that what Jonathan Schell once called “the fate of the Earth” now rests in the hands of two unnervingly narcissistic men: President Donald J. Trump and North Korean leader Kim Jong-un. South Korea hosts 28,500 American troops. In addition, there are some 200,000 American civilians in the country, most of them in Seoul. Many in both categories could be killed by North Korean attacks and the United States would, in turn, hit multiple targets in that country. Pyongyang might retaliate by firing missiles at Japan, where 39,000 American troops are stationed, concentrating on the network of American bases and command centers there, especially the U.S. Services Headquarters at Yokota Air Base near Tokyo. And that’s without even considering the possible use of nuclear weapons. If anything, Mattis’s description is an understatement. And don’t assume that the danger of a Korean conflagration has passed now that President Trump has become trapped in the latest set of political scandals to plague his administration. Quite the opposite: a clash between North Korea and the United States might have become more probable precisely because the president is politically besieged. Trump wouldn’t be the first leader, confronted with trouble at home, to trigger a crisis abroad and then appeal for unity and paint critics as unpatriotic. Keep in mind, after all, that this is the man who has already warned of “a major, major war” with North Korea. So far the coercive tactics Trump has used to compel North Korea to dismantle its nuclear weapons program and cease testing ballistic missiles have included sanctions and asset freezes, military threats, and shows of force -- both serious, as in the recent Key Resolve and Operation Max Thunder joint military exercises with South Korea, and farcical, as with a supposedly northward-bound naval “armada” that actually sailed in the opposite direction. Such moves all involve the same presidential bet: that economic and military pressure can bend Pyongyang to his will. Other American presidents have, of course, taken the same approach and failed for decades now, which seems to matter little to Trump, even though he presents himself as a break-the-mold maverick ready to negotiate unprecedented deals with foreign leaders. By now, this much ought to be clear, even to Trump: North Korea hasn’t been cowed into compliance by Washington’s warnings and military muscle flexing. In 2003, after multilateral diplomatic efforts to denuclearize North Korea ran aground, Pyongyang ditched the Nuclear Non-Proliferation Treaty (NPT) and two years later declared that it possessed nuclear weapons. In October 2006, it detonated its first nuclear device, a one-kiloton bomb. Four other tests in May 2009, February 2013, January 2016, and September 2016, ranging in explosive yield from four to 10 kilotons, followed. Three of them occurred after the current North Korean leader, Kim Jong-un, came to power in April 2012. A similar pattern holds for ballistic missiles, which North Korea has been testing since 1993. The numbers have risen steadily under Kim Jong-un, from four tests in 2012 to 25 in 2016. Clearly, the North’s leaders reject the proposition that American approval is required for them to build nuclear bombs and ballistic missiles. Like his father, Kim Jong-il, and his grandfather, Kim Il-sung, the founder of the Democratic People’s Republic of Korea (or DPRK, North Korea’s official name), Kim Jong-un is an ardent nationalist who regularly responds to threats by upping the ante. Trump’s national security adviser, General H.R. McMaster, characterized Kim as “unpredictable.” In reality, the Korean leader, like his father and grandfather before him, has been remarkably consistent: he has steadfastly refused to stop testing either nuclear weapons or their possible delivery systems, let alone “denuclearize” the Korean peninsula, as McMaster demanded. The roller-coaster ride otherwise known as the presidency of Donald Trump has many people perplexed. Trump’s boosters believe that the president’s unpredictability gives him leverage against adversaries. But in the event of a military crisis on the Korean peninsula, Trump’s pendulum-like behavior could lead North Korea’s leaders to conclude that they had best prepare for the worst -- and so strike first. That prospect makes the Kim-Trump combination not just dangerous but quite possibly deadly. Standing in the way of a fresh policy toward North Korea are a set of assumptions beloved within the Washington Beltway and by the foreign policy establishment beyond it -- and rarely challenged in the mainstream media. Perhaps the most common of them is that diplomacy and conciliation toward North Korea won’t work because its leaders only respond to pressure. So pervasive and deeply rooted is this view that it makes fresh thinking about Pyongyang next to impossible. Given the failure of both sanctions and saber rattling, however, a new approach would have to involve diplomacy (in case you’ve forgotten that word) and serious negotiations with the North. Here’s one possible way to go that might, in fact, make a difference. North Korea would agree, in principle, to dismantle its nuclear weapons installations, rejoin the NPT, and allow comprehensive inspections by the International Atomic Energy Agency (IAEA) to verify its compliance. Concurrently, the United States would pledge not to attack North Korea or topple its regime and to move toward normalization of political relations. Major steps taken by North Korea on the path to denuclearization would be matched by cuts in American military forces in South Korea. Once Pyongyang delivered completely, the United States would remove all its forces and fully lift economic sanctions on the North. The United States, South Korea, China, Japan, and Russia would undertake to fund and, for some of its future energy needs, build new Light-Water Reactors (LWRs), which reduce the risk of bomb-grade plutonium production. These would be subject to regular inspections and electronic surveillance by the IAEA and all spent fuel would be transported out of North Korea. The dismantling of the North’s nuclear facilities, verified by intermittent inspections and continuous electronic monitoring, would -- as in the nuclear deal with Iran -- prevent the production of weapons-grade plutonium (Pu 239) or uranium (U 235). Once these steps were completed, both Koreas would begin to pull back their troops massed along the Demilitarized Zone and so create an even wider region free of weapons and troops between the two countries. They would agree not to reintroduce troops and armaments into the vacated areas and to allow monitoring by international observers. Over perhaps a 10-year span the two states would commit to additional military pullbacks plus reductions in the number of weapons each possessed, focusing on retiring those most suited to offensive warfare. If Trump is indeed prepared to meet with Kim, it should be to do a deal along these lines, not to deliver in person the sort of ultimatums that the North has rejected for years. Typically, proposals like these are dismissed on the grounds that they combine the worst of all worlds: the appeasement of a despotic regime and reckless naïveté. Let’s start with the appeasement charge, the gist of which seems to be that Pyongyang’s cruelties bar diplomatic engagement with it. This claim amounts to sanctimonious puffery and historical amnesia. The United States has, in various forms, supported a vast array of despotic regimes, including Greece during the brutal “regime of the colonels” (1967-74); Indonesia under Suharto (who presided over the slaughter of half a million people in 1965-1966); and Iraq under Saddam Hussein during the 1980s, when his government was gassing Kurds and razing their villages. And of course in South Korea there was the U.S.-backed government of President Syngman Rhee (1948-1960), whose security forces killed more than 100,000 people, 30,000 to 60,000 in the infamous 1948 Cheju massacre alone, as part of an effort to decimate any left-wing opposition in the country. North Korea’s state, while undeniably repressive, has persisted for more than 60 years and must be part of any plan to reduce the risk of war on the peninsula. Attempting “regime change,” à la Iraq in 2003 or Libya in 2011, would certainly prove disastrous. In comparison, the upheaval and death that followed the ousters of Saddam Hussein and Muammar Gaddafi would seem minor and the bloody reverberations of such an event would extend far beyond the peninsula. Counting on China, Pyongyang’s principal benefactor, or Russia to squeeze North Korea so that it undertakes far-reaching reforms amounts to wishful thinking. Neither country wants to trigger instability there for fear that the country might collapse, creating mayhem on its borders and releasing a floodtide of refugees that they would have to deal with. In addition, China views the North as a buffer with South Korea, an American ally and a forward base for U.S. military power. From Beijing’s vantage point, if changes in North Korea careened out of control, the eventual result could be a unified Korean state allied with Washington. For the Chinese, the status quo on the peninsula, while anything but ideal, beats such a roll of the dice. Beijing has been willing to impose sanctions on Pyongyang and sees it as mercurial and reckless, but it is not about to strangle it economically. As for the charge of naïveté when it comes to a proposal to begin the partial demilitarization of the peninsula, that’s part and parcel of prevailing Washington orthodoxy, a deep conviction that North Korea will never surrender its nuclear weapons as part of a grand bargain. In fact, progress toward just such a denuclearization was made during Bill Clinton’s presidency, when the sticks were briefly put aside and the carrots brought out. In October 1994, negotiations led to what was called the Agreed Framework. Its details are complicated, so brace yourself for a barebones summary: North Korea agreed to shut down its reactor at Yongbyon, place the plant’s spent fuel in sealed containers for shipment out of the country, stop construction on two larger reactors (at Yongbyon and Taechon), remain a party to the NPT, and permit the IAEA to inspect its nuclear sites to verify the agreement’s implementation. In exchange, the United States, Japan, and South Korea undertook, through a consortium, to build two light-water reactors (LWRs) suitable for generating electricity but not for producing weapons-grade plutonium and to provide Pyongyang with 500,000 metric tons of heavy fuel oil pending the completion of the reactors. Eventually the Agreed Framework fell apart, a development for which all the parties share blame. North Korea’s ongoing missile tests, while not banned by the deal, bolstered the accord’s critics in Washington. It also faced resistance in both the Senate and the House of Representatives, which in 1994 were, for the first time in four decades, in Republican hands, while the Clinton administration proved inept in defending the agreement. Having stopped producing plutonium at Yongbyon, North Korea complained about the delay in building the LWRs. (Work on the first reactor didn’t start until August 2002.) The South Korean government, stuck with partially funding those plants, was unenthusiastic, too. The Bush administration arrived in office in 2001 ready to shred the Agreed Framework. Soon enough, however, it sought to resurrect a version of that deal during the “Six-Party Talks,” which began in 2003 and included both Koreas, the United States, Russia, China, and Japan. Here again the details are labyrinthine, but the basic formula that emerged did indeed resemble the Agreed Framework: North Korea was to receive both those LWRs and economic aid in exchange for freezing and then dismantling its nuclear program. The North Koreans even allowed American and other technical experts to observe it shutting down the Yongbyon reactor. It also provided reams -- 18,000 pages to be exact -- of documentation on its nuclear program. Most importantly, having frozen plutonium production in 1994, it continued to do so until 2003. For its part, the Bush administration removed North Korea from the State Department’s list of countries accused of sponsoring terrorism and exempted it from the Trading with the Enemy Act. There were also threats, theatrics, and setbacks aplenty. In the end, the Six-Party Talks failed for reasons similar to those that killed the Agreed Framework: quarrels over the nature and scope of verification procedures, North Korea’s missile tests and confirmation of reports that it had embarked on efforts to build uranium-based nuclear weapons, and U.N. sanctions. President George W. Bush, of course, included that country, along with Iran and Iraq, in what he infamously termed the “axis of evil,” which he called a “grave and growing danger” in his January 2002 State of the Union address. His administration also listed North Korea in the 2002 Nuclear Posture Review as one of the states that might become the target of a preventive strike. The lessons to be drawn from this grim record are not that North Korea will not negotiate, let alone that it won’t ever agree to freeze, or even terminate, its nuclear program. Instead, the history of these failed deals should be looked to for ideas on better ways to reach a consensus-based solution. This much remains clear: the more Pyongyang suspects that Washington’s real goal is regime change, the less likely it will be to relinquish its nuclear weapons for fear of suffering the fate of Muammar Gaddafi, who shut down his nuclear program only to be toppled in what began as a U.S. and NATO humanitarian intervention to protect civilians but morphed quickly into a campaign to take him out. As happened during the Anglo-American terror bombing of Germany and Japan, the distinction between civilians and soldiers, so central to International Humanitarian Law and Just War Theory, was defenestrated. Many Americans know about the bombing of Dresden, Berlin, Hamburg, Hiroshima, and Nagasaki and the deliberate targeting of civilians in an attempt to break their morale. But few know what happened to North Korea in the early 1950s. In his haunting book, On the Natural History of Destruction, W.G. Sebald writes that Germans did not discuss the wartime bombings because Nazi crimes made them hesitant to cast moral judgments on other states, no matter what they had done to Germany. There has been no such repression of memory or reticence by the state or the citizenry of North Korea. As a result, the usual dismissals of Pyongyang’s apprehension about what the United States might do to a denuclearized country are both callous and foolish. Successful negotiations would mean taking its security concerns seriously, not rejecting them as paranoid demands, especially given that American military power remains so close, that Washington has threatened to attack the North more than once, and that the American president only recently boasted to the president of the Philippines (in a conversation leaked online) of the two U.S. nuclear submarines that were evidently somewhere off the North Korean coast at that moment. A grand bargain that combines aid and political normalization in return for denuclearization and the pullback and reduction of troops on the Korean peninsula could be made even more attractive to Pyongyang if it included a phased withdrawal of the 28,500 American troops in South Korea. The standard claim -- that this would leave South Korea defenseless -- is ludicrous. South Korea has twice the population of the North: 50.6 million to 25.2 million, and they are better educated, far better fed, and much healthier. Just look at the data on life expectancy, infant mortality, and the amount and quality of calories consumed. The South, then, has far more and better human capital. The gap in economic power is gargantuan. South Korea, an industrial and technological powerhouse, has a $1.5 trillion gross domestic product (GDP), the world’s 12th largest. Valued at $30 billion, North Korea’s ranks 115th internationally, barely ahead of Senegal’s. In other words, South Korea’s economy is about 50 times larger than the North’s, and its per capita GDP ($37,900) exceeds North Korea’s ($1,800 -- and so comparable to South Sudan’s) by a factor of 21. It doesn’t matter whether you’re talking about investments in education and technology or living standards, South Korea inhabits a different universe than the North. Confronted with such economic comparisons your garden variety Washington military wonk might quip, “Fine, but GDP doesn’t fight.” Fair enough, strictly speaking. So let’s ignore the multiple ways in which wealth shapes military power and consider the military data alone. The results may surprise you. According to the most recent State Department estimate, South Korea spends more than seven times what North Korea does on its armed forces. And given the South’s technological prowess and purchases of American arms, it has a far more modern military than the North, which still uses Soviet and Chinese armor and aircraft developed during the 1950s and 1960s. Then there’s the relative burden of military spending. South Korea allocates 2.6% of its GDP to its armed forces, North Korea, 23.3%. In other words, South Korea can easily increase military spending without undue hardship. Not so North Korea. Remember this the next time you hear that the North has many more troops, tanks, artillery, and submarines. Remember as well that the numerical balance is about even or substantially favors the South in other armaments, such as combat aircraft, frigates, and destroyers. In other words, in a future settlement that includes a stage-by-stage U.S. military withdrawal, South Korea will hardly be left defenseless. Since the end of the Korean War, crises on the peninsula have come and gone. Some have been dangerous indeed. In the run-up to the 1994 Agreed Framework, for example, Defense Secretary William Perry proposed military options that included increasing the number of American troops in South Korea and readying long-range bombers and aircraft carrier battle groups to strike the Yongbyon reactor. Still, the current crisis has no equal. Sitting in the White House is a president whose narcissism knows no bounds, whose ignorance of the world is staggering, who talks blithely about war and nuclear weapons, and who is besieged by political scandals. Meanwhile, North Korea’s ruler, like his predecessors, refuses to be cowed by American shows of force and continues to test ballistic missiles -- three in May alone. A deal resembling the one sketched above may never be reached and, given past history, it won’t be arrived at easily. Yet threats and displays of military power by the United States haven’t worked. Ever. If President Trump acts on the assumption that he and “his” generals can make them work and that North Korea will become reasonable only when faced with the certainty of war, there could be a conflagration on the Korean peninsula the likes of which would be almost unimaginable.